Dire Wraiths | Magazines and Monsters! Some titles never seem to get their due in the mainstream for one reason or another. 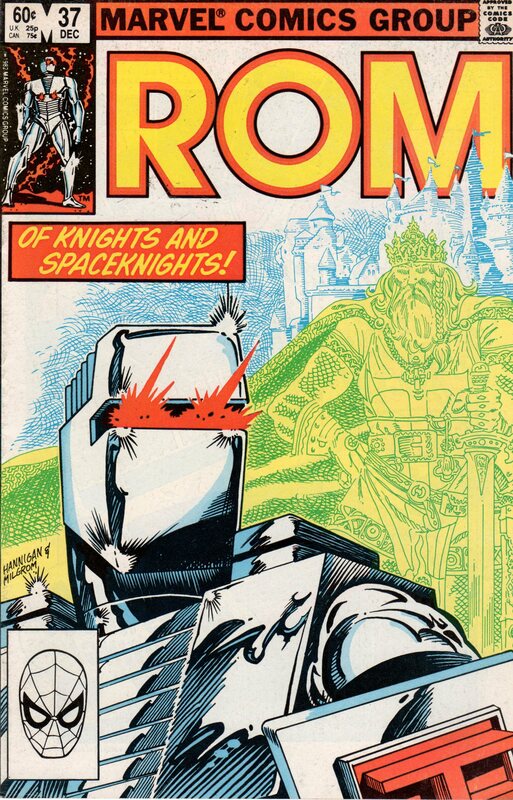 ROM (Spaceknight) is one of those titles for sure. 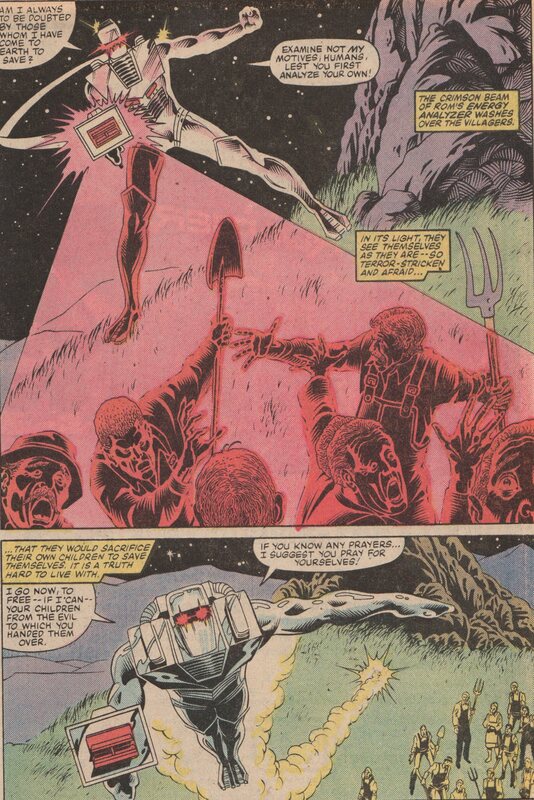 ROM is a man from another planet that volunteered to become a cyborg (along with others) to fend off an alien attack by the Dire Wraiths. The battle spilled over into other parts of the galaxy, including Earth. 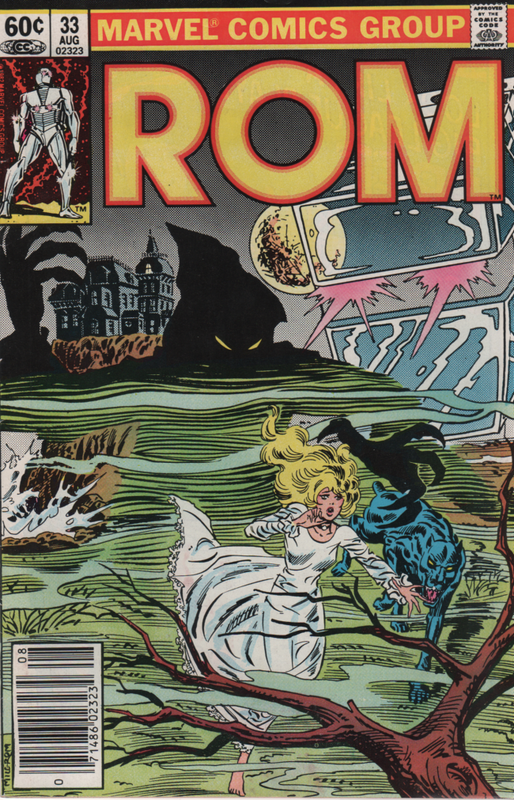 In this issue, ROM is buzzing around the skies, and a young, blind woman can see him in her mind (clairvoyant?) She wonders if he might be able to help her find her parents that supposedly abandoned her years ago. We also see ROM’s old friends, Steve Jackson and Brandy Clark. 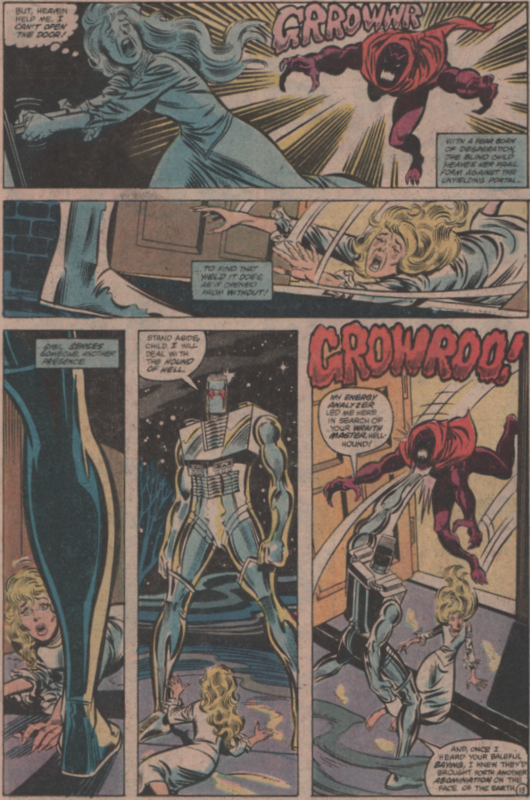 They notice ROM whipping around the city, and speak of his awesomeness. 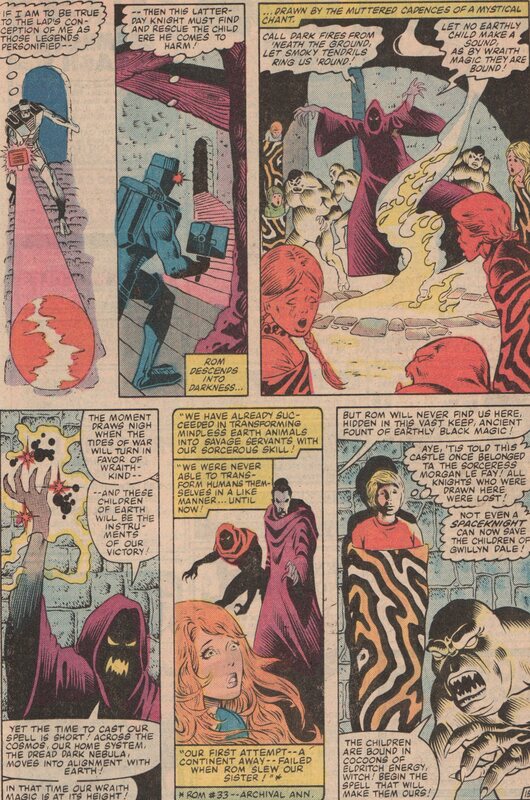 ROM then gets some readings from his Analyzer, then swoops in to Cliff House, where the blind woman resides. He informs her that she’s among killers, and then the creepiness jumps into overdrive. 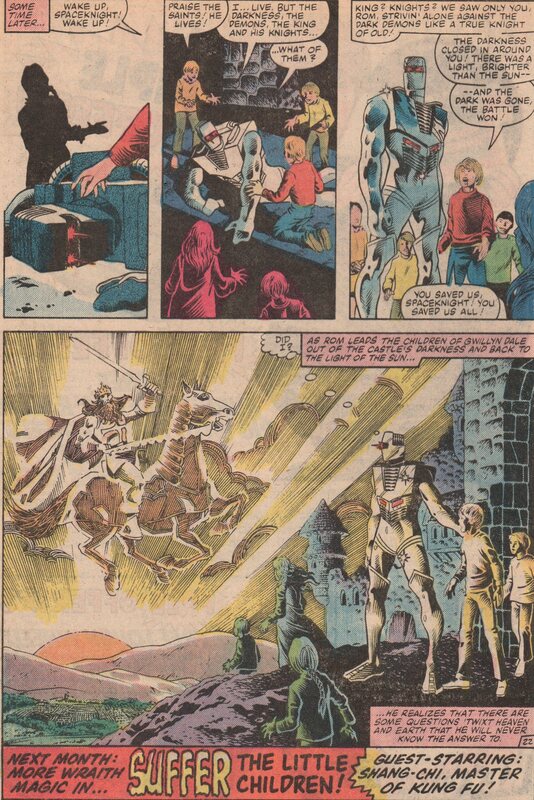 As most comic book fans know, this series was written entirely by Bill Mantlo. 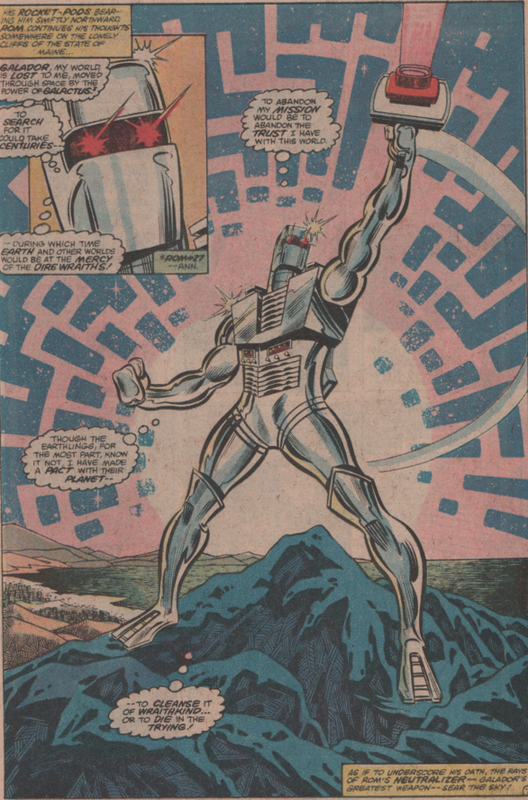 He basically took a toy (yes, ROM was a toy with no background, whatsoever), and created a universe for this character. 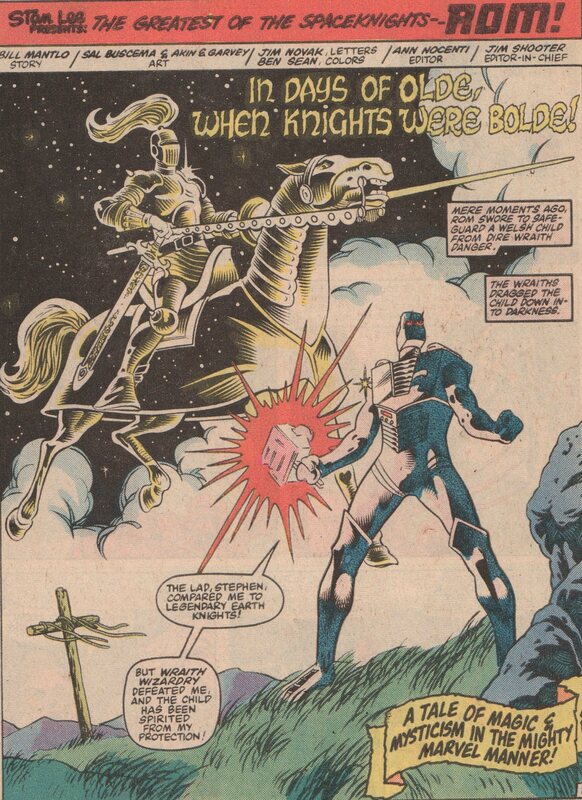 Not even speaking about co-creating Rocket Raccoon (along with Keith Giffen), and Cloak and Dagger (along with Ed Hannigan), the man is a legend for this (and The Micronauts). 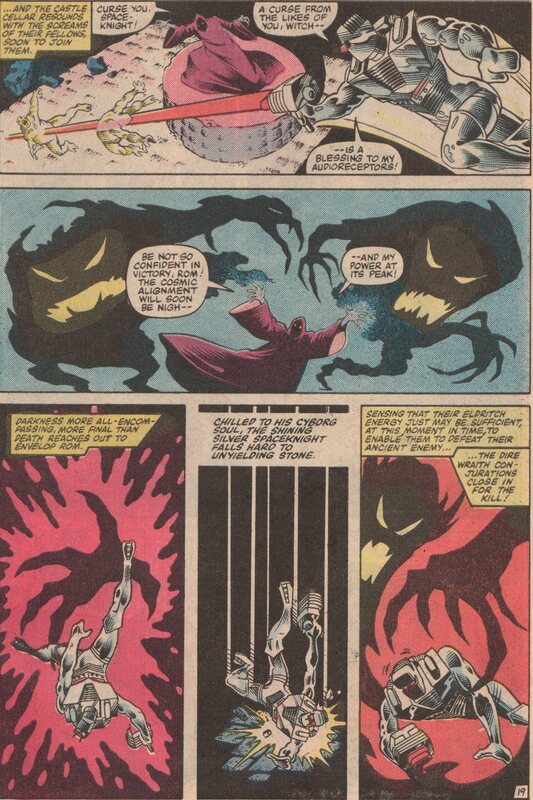 The artwork is by long time Marvel artists, Sal Buscema (pencils), and Joe Sinnott (inks). Both men have long, stories careers that are the definition of professional. 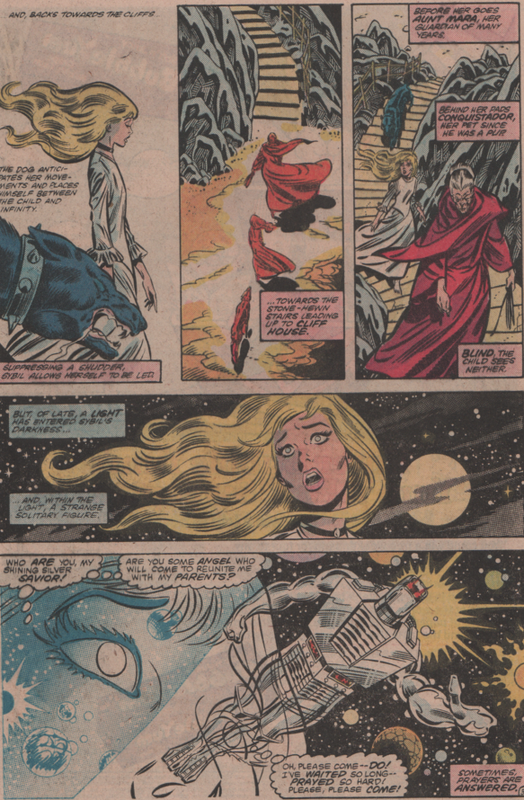 Ben Sean is the colorist, Rick Parker on letters, and Ann Nocenti editor! 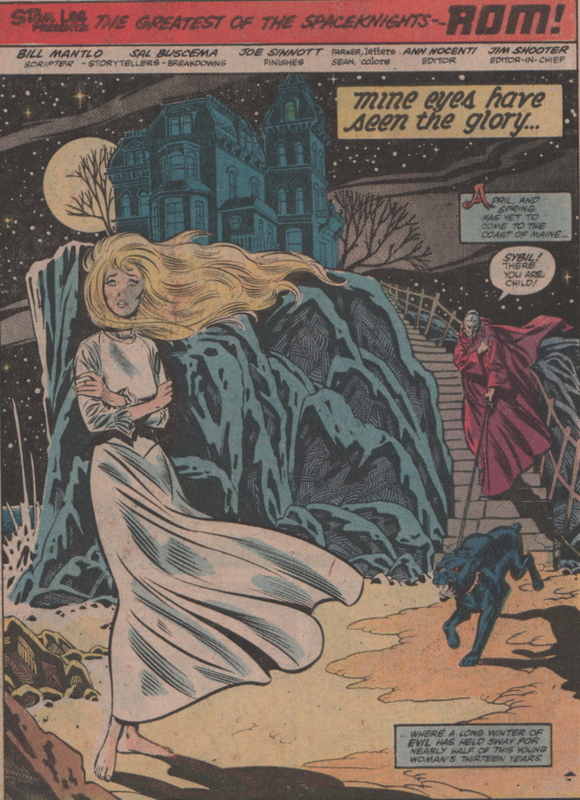 And lets us not forget the eerie cover by Al Milgrom!